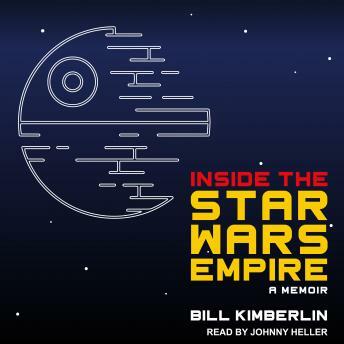 Listen to "Inside the Star Wars Empire: A Memoir" on your iOS and Android device. Bill Kimberlin may refer to himself as 'one of those names on the endless list of credits at the close of blockbuster movies.' In reality though, he's a true insider on some of the most celebrated and popular movies and franchises of the past century. Jurassic Park. Star Trek. Jumanji. Schindler's List. Saving Private Ryan. Even Forrest Gump. And perhaps most notably, Star Wars. Inside the Star Wars Empire is the very funny and insightful tell-all about the two decades Kimberlin spent as a department director at LucasFilm Industrial Light and Magic (ILM), the special effects studio founded by the legendary filmmaker George Lucas.